Posted on 16, February 2016 by EuropaWire PR Editors | This entry was posted in Management, Metals and Minerals, Norway and tagged Egil Hogna, Karsten Lundgaard, Salvador Biosca, Sapa Building Systems. Bookmark the permalink. OSLO, 16-Feb-2016 — /EuropaWire/ — Karsten Lundgaard is leaving his role as president of Sapa’s aluminium building systems business area to seek new opportunities outside the Sapa group. He had been responsible for the operations since July 2014. 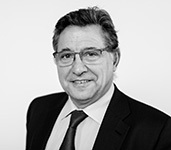 As of Monday, February 15, Salvador Biosca will assume the role as business area president in Sapa Building Systems (SBS). Biosca has extensive international experience within the industry and Sapa, from several line positions in both aluminium extrusion and tubing. In 2013, he became president of Sapa’s Precision Tubing business area. “SBS has been through a tremendous turnaround over the past two years, and the performance in safety, productivity and profitability has been considerably improved. I’m a strong believer in the further potential and future of SBS, and I am very pleased that Salvador will lead the business area into the next phase together with the competent team in SBS,” says Egil Hogna, Sapa’s President & CEO. “I am looking forward to joining SBS and continuing to build on the strong position in Europe and the Middle East and further exploring the opportunities for building systems in the Americas and Asia,” says Biosca. The business area includes the global systems brands Technal, Wicona and Sapa Building System. “In Sapa, both Precision Tubing and SBS represent the areas where we, through customer insight and innovation, have developed our added value offering to specific market segments the furthest. Together with Salvador’s excellent leadership skills, broad industry experience, and demonstrated results over many years, this makes him the right leader for SBS going forward,” says Hogna. The process to find Biosca’s successor as business area president for Precision Tubing has started and until a new person is appointed he will also continue to lead Precision Tubing.